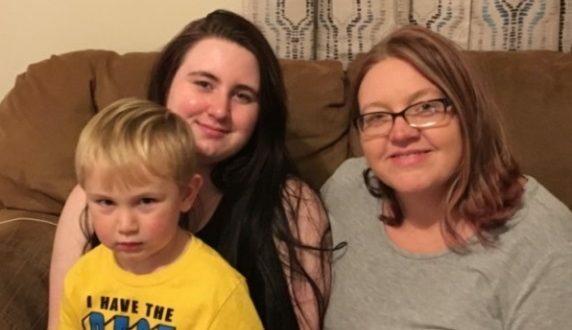 Heather’s husband passed away suddenly leaving no life insurance or means for Heather to pay funeral costs, medical bills and to meet the needs of their family. Heather is not only having to deal with the grief of her and her children’s loss, but also the worry of caring for her family financially. Update: Due to continued financial needs for this family, we have extended this campaign to help cover their rent for 3 months. Heather has impacted so many families with her overwhelming love, glowing personality, and positive spirit. She has blessed hundreds of children and cared for them like they were her own through her work at her church. Please consider helping Heather and her children during this very difficult time by making a donation, as well as keeping them in your prayers. 100% of every donation will go directly to helping meet the needs of the Blair family. This need was submitted by a Blessity partner church in Kenosha, WI.